WESTBURY, NY--(Marketwired - December 08, 2015) - Spectronics Corporation will exhibit the Spectroline® OLK-400BEZ/E Complete BigEZ™ Kit at this year's HARDI Annual Conference December 5-8 in Orlando, FL, alongside other complete kits, that make refrigerant leak detection quick and easy. 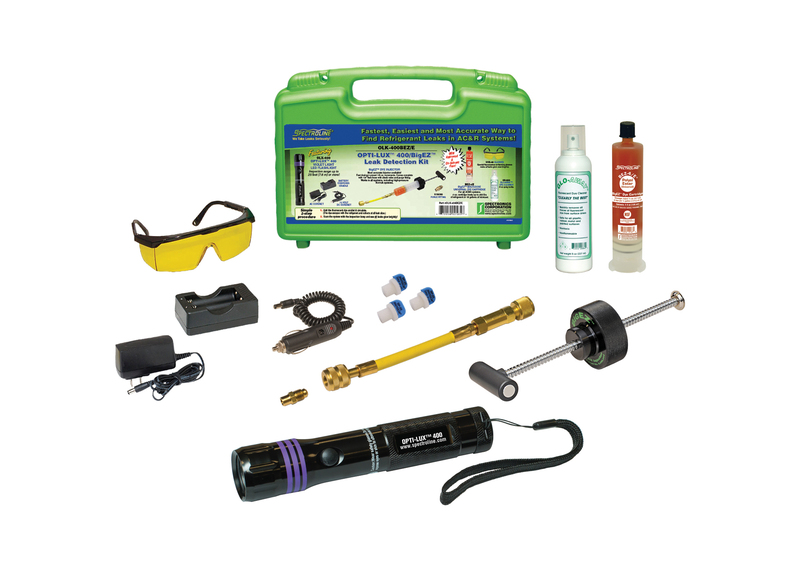 The OLK-400BEZ/E kit contains everything needed to locate refrigerant leaks in medium to large size AC&R systems -- including high-pressure R-410A systems. Simply add a small amount of concentrated fluorescent dye to the system and let it circulate. The BigEZ™ dye injector is calibrated in ⅛ oz increments, so a technician can add the exact amount of dye for each system by a simple turn of a handle. It can be added with the system off or running. The dye/oil mixture escapes with the refrigerant wherever there's a leak. The exact source of every leak will be revealed by its bright fluorescent glow. 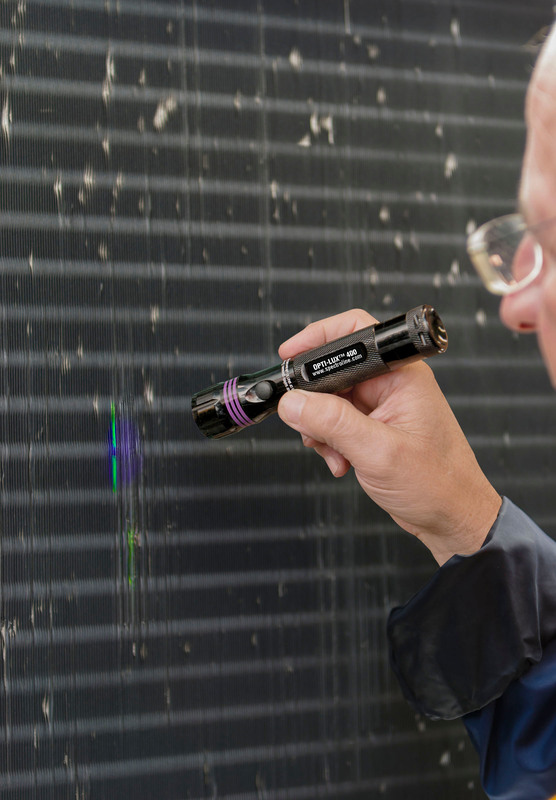 At the heart of the kit is the OPTI-LUX™ 400, a powerful, rechargeable violet light LED leak detection flashlight that provides optimal fluorescent dye response and contrast. All components are packed in a rugged carrying case. The dye cartridge treats up to 400 lbs (181 kg) of refrigerant, 16 gallons (60.8 L) of lubricant or 150 tons of cooling. For more information on Spectroline® air conditioning and refrigeration leak detection products and any upcoming trade shows, please visit http://www.spectroline.com.